There must be greater dialogue between ship owners and dockworkers to prevent a repeat of a tragedy which last week claimed the life of a seafarer. Dennis Gomez Regana was crushed while lashing and securing containers aboard the MV Francop at Southbank Quay in the port of Dublin. His death sparked outrage, with the International Transport Workers Federation (ITF) saying he should not have been involved in lashing and securing containers. 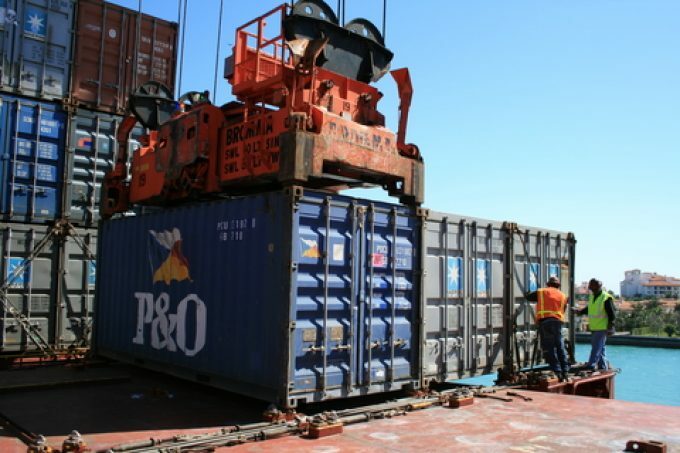 ITF maritime coordinator Jacqueline Smith told the American Journal of Transport lashing and securing containers was the responsibility of dockworkers. And European Transport Workers Federation (ETF) spokesperson Livia Spera told The Loadstar it was a tragedy that could have been avoided. “Dialogue needs to be extended between the shipowners and the dock operators to provide a clear chain of liability between the parties,” she said. An investigation is under way as to the exact cause of Mr Gomez Regana’s death, but one source told The Loadstar it is believed to have involved a problem with a twistlock. In February, the ITF inserted a new clause into the International Bargaining Forum Agreement stating lashing was the responsibility of dock workers and should not be undertaken by seafarers. Ms Spera said the new clause would have come into force in 2020 but demanded that the community now recognise it immediately. ETF dockers vice chair Torben Seebold added: “We will keep pressuring policymakers to change rules that mean lashing and unlashing is done by seafarers in some European ports. As part of our ongoing national lashing campaign, we are sending yet another wake-up call to policymakers. Whether it is a Ship’s Crew or a Dock Worker, a life is a life that is lost due to unsafe work practice & condition. May his soul rest in peace. My deepest condolences to the grieving family members of the deceased. Agree, that it is the Dock Workers’ job to secure the containers but to provide a safe work environment is the ship’s responsibility. The way worker’s positions are depicted in the above picture shows the unsafe working condition; as there is no stanchions & guard rails provided on the work platform, Full Body Harness is not worn by the workers were a falling from height risk is existing, a 3 cell separation between the working bay & the worker is also not being maintained. If the container lashing – un-lashing activities are carried out like this, a repeat incident will not be a surprise.